A search and rescue dog while the search and rescue dog is on duty. Theft in the first degree is a class B felony. To appropriate lost or misdelivered property or services of another, or the value thereof, with intent to deprive him or her of such property or services. Theft in the first degree is a class C felony. Includes ten or more merchandise pallets, or ten or more beverage crates, or a combination of ten or more merchandise pallets and beverage crates. Theft in the third degree is a gross misdemeanor. The maximum penalty for Theft in the Third Degree is 365 days in jail and a $5000 fine. The sentencing judge is not required to impose a minimum sentence. Possessing Stolen Property in the First Degree — Other than Firearm or Motor Vehicle. RCW 9A.56.150. A person is guilty of possessing stolen property in the first degree if he or she possesses stolen property, other than a firearm or a motor vehicle, which exceeds five thousand dollars in value. Possessing stolen property in the first degree is a class B felony. Possessing Stolen Property in the Second Degree — Other than Firearm or Motor Vehicle. RCW 9A.56.160. He or she possesses a stolen access device. 2. Possessing stolen property in the second degree is a class C felony. Trafficking in Stolen Property in the First Degree - RCW 9A.82.050. A person who knowingly initiates, organizes, plans, finances, directs, manages, or supervises the theft of property for sale to others, or who knowingly traffics in stolen property, is guilty of trafficking in stolen property in the first degree. 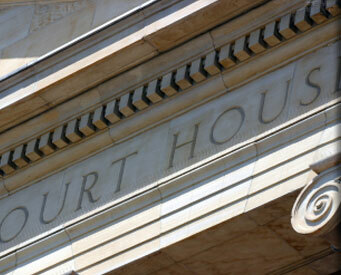 Trafficking in stolen property in the first degree is a class B felony. TRAFFIC means to sell, transfer, distribute, dispense, or otherwise dispose of stolen property to another person, or to buy, receive, possess, or obtain control of stolen property, with intent to sell, transfer, distribute, dispense, or otherwise dispose of the property to another person. Trafficking in Stolen Property in the Second Degree - RCW 9A.82.055. A person who recklessly traffics in stolen property is guilty of trafficking in stolen property in the second degree. Trafficking in stolen property in the second degree is a class C felony. An offender score of zero establishes a range of 1 to 3 months in jail. An offender score of nine establishes a range of 51 to 60 months in prison. Identity Theft - RCW 9.35.020. No person may knowingly obtain, possess, use, or transfer a means of identification or financial information of another person, living or dead, with the intent to commit, or to aid or abet, any crime. Violation of this section when the accused or an accomplice violates subsection (1) of this section and obtains credit, money, goods, services, or anything else of value in excess of one thousand five hundred dollars in value shall constitute Identity Theft in the First Degree. Identity theft in the first degree is a class B felony punishable according to chapter 9A.20 RCW. A person is guilty of identity theft in the second degree when he or she violates subsection (1) of this section under circumstances not amounting to identity theft in the first degree. Identity Theft in the Second Degree is a class C felony punishable according to chapter 9A.20 RCW.